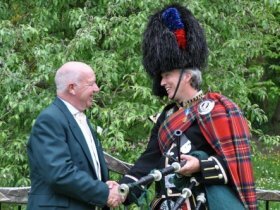 A former Pipe Sergeant of a local pipe band, I have been playing solo events for the last 18 years all over the UK and abroad. 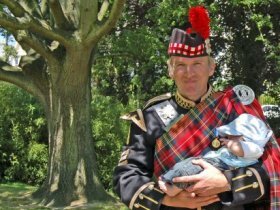 I have played in New York at the emotional 2002 Tartan Day where over 8000 pipers from all over the world amassed to remember 9/11 and marched through New York led by Sean Connery. Guests at these events included the Prince of Wales and the Duke of Kent. 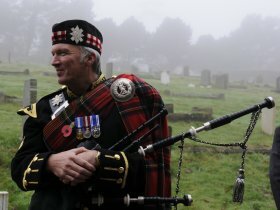 I have played at many weddings, christenings, funerals and Burns night suppers and of course Hogmany. Photographs and testimonials are attached to my site. 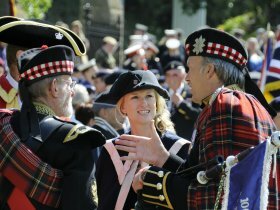 I can arrange a number of pipers/drums if required. Other contacts are listed on my website. 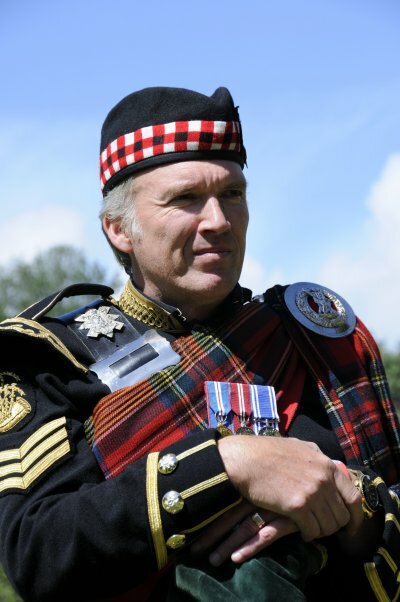 I wear full number one dress (the Royal Stewart Tartan) to fully complement your day. Please contact me to discuss how I might help you celebrate your special occasion.